What’s up guys! Here is my honest review of Beyond:Two Souls for the PS3. If you’re interested in watching my video review of Beyond: Two Souls, check it out! As a reviewer of games, my goal is to not only be honest and fair but to also keep in mind that not all gamers are the same. I think that’s one of the biggest problems in the gaming industry nowadays. There really is no such thing as “targeting a wider audience” when it comes to gaming because who is this “wider” audience? It’s extremely rare to create a game that EVERYONE will love. Why? Because of the differences in gaming styles. Sure, there are some gamers that will play anything and everything. But, they’re not the majority. So, why am I even talking about this? 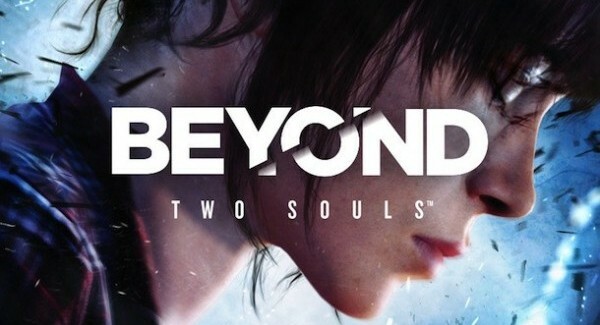 Because Beyond: Two Souls is one of those games that will literally split the charts. I have seen people giving it 10’s, and I have seen others giving it 5’s. 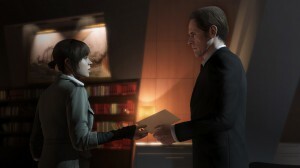 So, I’m going to do my best to explain what it is about Beyond: Two Souls that makes it so particular. Beyond is an extremely innovative game. So innovative, that I don’t believe I have ever played a game like it. This game truly represents what gaming could become in the future. It almost feels like a test. Today, with the new technology available, gaming has become more realistic. More cinematic. Now, obviously Beyond wasn’t the first game to do this. Metal Gear Solid 4 anyone? It’s like a game and a movie had a love affair and out popped bouncing baby MGS4. But Beyond, literally, goes beyond even this. The GAME—MOVIE spectrum isn’t really balanced out with Beyond. As much as I love that interactive cinematic feel in games, I never really want the scale to tilt more towards MOVIE and leave the GAME behind. Because, in all honesty, we play games to…play the game. The game even went through a change in genre since it was released. I remember the genre of Beyond: Two Souls saying it was an Action Adventure science fiction thriller. Now, it says it’s an “interactive drama/action adventure”. Before I go on, let me first explain a little bit about the story of the game…not in detail, don’t worry. You play as Jodie Holmes, (Ellen Page) a young girl that is going through some strange physical and psychological issues. It’s unknown exactly what it is that is going on with Jodie but what is clear is that she has this unexplainable control of these supernatural powers that come from an entity she calls Aiden. The game spans a few years of her life, starting from when she is a very young girl (about 6 years old) up to her early twenties. This is how the game is split up. Each segment of her life, is a chapter but these chapters do not follow consecutively. Meaning, one chapter you could be playing Jodie as a 7 year old, in the next one she’s 18, and in the next one, she’s a 10 year old. Due to her unusual circumstance, she ends up under the care of Doctor Nathan Dawkins (Willem Dafoe), a scientist in paranormal activity who ends up becoming her father figure. This was most likely my favorite thing about the whole game. The relationship between Jodie and Nathan felt very real and meaningful. The beginning scenes between them were definitely my favorite moments of the game because the performances of the actors were spot on and very believable. So, as the years pass, she ends up being transferred to the government…like any good little superhuman would be. And, the rest is up to you to find out but I will say that the beginning of the story where this is all being explained and you’re still in the dark about the bigger picture, was the saving point of the game for me. Because, a little bit before we get to the middle of the game…things start to escalate…and, not up. In my opinion, they take a dive for the worst. The saddest thing for me was that it almost felt like the script had been written by one person and then another person picked it up and just started to write whatever they wanted afterwards. The beginning and the rest of the game felt separate. The rest of the game was just so exaggerated, especially when compared to the beginning, that it almost felt like I was playing a completely different game. In my opinion, when it comes to supernatural stories, sometimes less is more. The less you show, the more you captivate your audience. That’s the type of setting Beyond was setting up but then towards the middle your slapped in the face with the extreme. It felt almost like someone walking down an alley and then catching a glimpse of what looked like to be a small dog and when they turn the corner to check, Godzilla pops out. And the worst part was that the more you went along, the weirder it got. Also, the dislocated narrative was a bit confusing and, I think, it seriously damaged the experience because sometimes you’d end up forgetting the order of things. Sometimes, it was important to remember what situations had come first and because of all the jumping around in time periods, it got frustrating after a while. The worst part for me was the last couple of hours. I wanted it to be over by then. I struggled so much to finish the game, and it was mostly due to how repetitive it started to get. You were found in the same situation literally time and time again. Repetition is not always a bad thing in games/gameplay but this was repetition in story. You would beat one thing and literally a minute later you found yourself in the SAME situation AGAIN. I was literally fed up with it. So fed up that by this time, I didn’t even care about anything else that happened. I don’t like to compare games within the same development company because even though they are made by the same developer, it doesn’t mean we should expect the same experience. BUT, shortly before I played Beyond, I played Heavy Rain. This is Quantic Dream’s previous game that felt very much like an interactive drama as well. I loved that game. And the thing I loved most about it was that there was SO much consequence. Everything you did made a difference in the long run. It would be extremely hard to find 2 people with the exact same playthrough. The consequence was SO heavy in Heavy Rain that if you were to slip up, you could literally lose a main character…for good. It made the game intense. It made me care about what I was doing and it made me almost protect my characters. Even though Beyond: Two Souls was a very different game…it had absolutely no consequence. No matter what you did. There was no real effect in the moment, or in the end. You were always going to go from point A to B, no matter what you chose to do and no matter how many times you got beat up. The beginning saved the storyline for me. But, I can’t give it any higher than this score because the way the story just got morphed into something completely unexpected and blown out of proportion, was just SO not cool. They should have focused more on what was making that story special. The relationship between Jodie and Nathan. Especially when Nathan’s past begins to become known. If they had worked more off of that, instead of completely abandoning it to tell an unrelated story with bizarre/unbelievable occurrences…I think it would have made the game more bearable. The graphics and performances were absolutely brilliant. Especially the performances from the actors. They were so credible that, it truly is a shame that more focus wasn’t placed on the interaction between the characters. I kept thinking about the Last of Us. 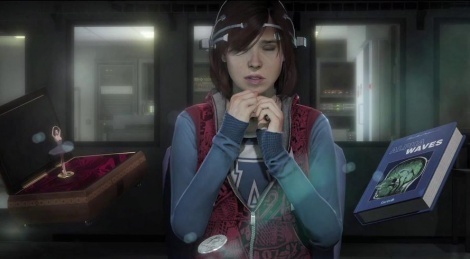 The relationship that was being formed between Joel and Ellie was just perfect and very relatable and it was the focus of the game. In Beyond, it was like this type of relationship was being formed but in this instance there was this supernatural intrigue tied to it and instead of taking advantage of it, it was completely abandoned and instead the focus was placed on the completely unrelatable and abstract. Still gets a 10 though cause this was more of my personal preference. The performance and graphics were still spot on, no matter what I think should have been done with it. The gameplay was extremely tedious for me. They should have stuck to the old fashioned QTE button system. The directional substitute was extremely confusing to me because it wasn’t like little directional prompts would pop up on the screen like an arrow pointing to the right, and you would have to push the analog to the right, no. It was left open to interpretation. It’s extremely difficult to explain in writing (watch my video so you can get more of an understanding of what I’m saying here). Instead, there would be a fight scene and when you’re being attacked it would suddenly slow down, Matrix style. You then had to analyze that moment to see if the attacker was going to hit you from the right, left, above, straight ahead, or below…this was SO confusing to me. Because a lot of times it looked like the person was going to hit me from the right, so I’d block to the right but, no, it was actually a punch to the gut…so the correct response would have been pressing forward. Or It looked like they were going to hit me in the gut, so I’d press forward to block, but no…they were going to hit me in the leg, so the correct response would have been to press down. It was so annoying! ESPECIALLY in dark scenes! Sometimes the scene was during the night, in the rain and I literally could not tell which way they were going to hit me so I’d get beat up so bad! Oh, but remember, no consequence so didn’t matter how beaten up I got, I’d eventually get out of the attack. So, again, this lack of consequence really didn’t give me any reason to even care if I got the QTE’s right or wrong. Also, the cover to cover system, was pretty linear. You couldn’t just go off to the left and hide behind some random thing. You had to look over your current cover and you’d get a prompt of where you had to go next. Same with your powers through Aiden. They were prompted. Aiden could possess or knock out guards but you didn’t have the control to choose who to do this to. When you entered “Aiden vision” you’d, again, get a prompt of who you could possess and who you could knock out. It was never up to you. I gave this a 6 because, unlike a lot of people, I didn’t mind the interactive scenes. I thought they were interesting and really made the moments feel real and intuitive. They were really the only moments I had some sense of control since I could choose how Jodie would respond. This game is VERY different. Very new. It does make the “interactive drama” the focus of the game and I’ve never really played a game like that. There were moments where you’d just be sitting there, making Jodie respond to questions that Nathan would ask. I actually really enjoyed these moments because they felt so real and personable BUT what did bother me was that this ingenuity was turned into an almost “guided” experience. There was no real challenge because no matter what you did, no matter what you got hit with…nothing would happen. You’d eventually have to go from point A to B. It all ended up being very predictable and when I, as a gamer, feel like no matter what I do, the outcome will always be the same, that pretty much takes the fun out of “playing a video game”. I don’t really see someone playing this game multiple times because it is a very linear story. Not everyone gets the same experiences as everyone else because there is some sense of choice in how you get from point A to B but, the story is pretty much the same. You are also given some choice at the end but, it’s not like your actions throughout the game lead you to some different ending. The endings are choices. No matter what you did throughout the game. So, it would be some what of a waste of time to go back and playthrough the games entirety just to choose a different choice at the end. I wouldn’t call this game fun. I would call it interesting. Not just because of the idea, especially the way it was presented in the beginning, but also the way the game played in general. It was very different. So, I found that interesting and it gave me a good idea of what gaming could have in store for us in the future with more interactive dramas. I don’t mind them, but what I felt this game did wrong was that they tried to put TOO much into it. Too many things that didn’t really belong there. If they’re going to give you third person view gameplay, they should include consequences, challenges, and choice/strategy so that the player could remain interested. At least that’s the way I feel about it. FINAL THOUGHTS: If this game had taken the gameplay style of Heavy Rain and just made it more advanced in graphics and capabilities, I believe it would have been so much better. Because the potential was there, the problem was the execution. I didn’t quite know what to expect going into Beyond: Two Souls but in no way was the “interactive drama” the killing point for me. It was the badly executed gameplay, the disorganization, inconsistencies, and the lack of consequence that really made me lose interest in the story and the characters. Again, please remember this game is a very particular game so if you’re the type of person that would switch the difficulty level to EASY so that you can just experience the story and not so much the gameplay, you MIGHT like this game. If not, than I’d recommend at least renting it so that you could experience this style of game for yourself. Because, I’m pretty sure we will be seeing more interactive drama video games in the future. So, what do you guys think about these new interactive drama games? Let me know in the comments down below!